The high prevalence of benzimidazole-resistant nematodes in French grazing dairy goat flocks led to a search for nematode-control schemes based on integrated approaches with non-chemical options, like vaccination, grazing management, or biological control using nematophagous fungi. The effect of the daily feeding of goats with spores of the nematophagous fungus Duddingtonia flagrans on third-stage larvae (L3) of Teladorsagia circumcincta was examined in faecal cultures. 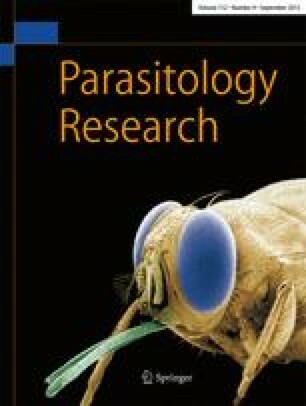 In addition, the effect of D. flagrans on the survival of first-stage larvae (L1) of Muellerius capillaris was tested. Twenty-two culled dairy goats previously raised in a zero-grazing system were twice infected at monthly intervals with 5,000 and then 7,500 T. circumcincta L3. Eight animals were infected with a benzimidazole-susceptible (BZs) strain while the remainder received a benzimidazole-resistant one (BZr). Six culled goats naturally infected with M. capillaris were purchased from private farms. All the goats were divided in two groups, one group receiving daily 5×105 chlamydospores of D. flagrans/kg body weight per goat for seven consecutive days in the food, the other group acting as control. For T. circumcincta-infected goats, individual egg counts and coprocultures (13 days, 25 °C) followed by L3 extraction with the Baermann method were performed. For M. capillaris-infected goats, extraction of L1 with the Baermann apparatus was individually performed on day 0 and after coprocultures on days 7, 10 and 14. Reductions in percentage development of T. circumcincta L3 in fungus groups compared with control groups ranged from 84% (BZs strain) to 90% (BZr strain). A decrease in M. capillaris L1 recovery was noted on days 7 and 10 (a reduction of 70% compared with day 0) and on day 14 (85%), but this pattern was similar in both groups, whether receiving the fungus or not. At the dosage of 5×105 spores/kg body weight, D. flagrans was highly effective in reducing the larval development of T. circumcincta in goats faeces. In contrast, the fungus did not reduce M. capillaris L1 survival in faeces in our conditions.